This interface provides read access to FlowElements-related properties. 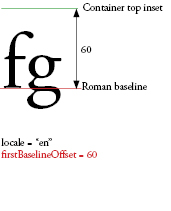 [read-only] Specifies the baseline to which the dominant baseline aligns. [read-only] Alpha (transparency) value for the background (adopts default value if undefined during cascade). [read-only] Background color of the text (adopts default value if undefined during cascade). [read-only] Amount to shift the baseline from the dominantBaseline value. 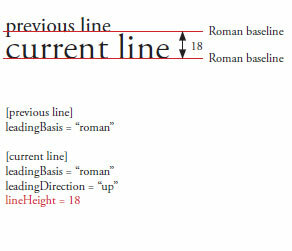 [read-only] Specifies a vertical or horizontal progression of line placement. 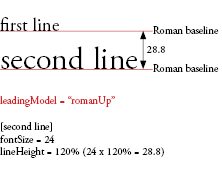 [read-only] Controls where lines are allowed to break when breaking wrapping text into multiple lines. [read-only] The type of CFF hinting used for this text. [read-only] Controls how text wraps around a float. [read-only] Color of the text. [read-only] Number of text columns (adopts default value if undefined during cascade). [read-only] Specifies the amount of gutter space, in pixels, to leave between the columns (adopts default value if undefined during cascade). [read-only] Column width in pixels (adopts default value if undefined during cascade). [read-only] The type of digit case used for this text. [read-only] Type of digit width used for this text. 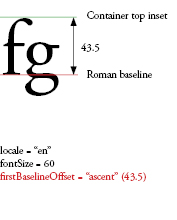 [read-only] Specifies the default bidirectional embedding level of the text in the text block. [read-only] Specifies which element baseline snaps to the alignmentBaseline to determine the vertical position of the element on the line. 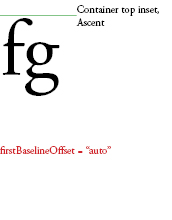 [read-only] Specifies the baseline position of the first line in the container. [read-only] The name of the font to use, or a comma-separated list of font names. [read-only] Font lookup to use. [read-only] The size of the text in pixels. [read-only] Rule used to justify text in a paragraph. 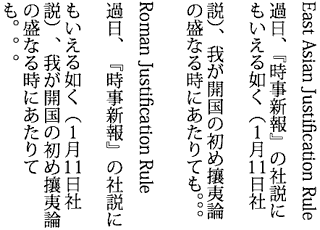 [read-only] The style used for justification of the paragraph. 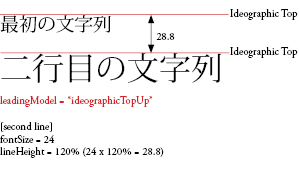 [read-only] Kerning adjusts the pixels between certain character pairs to improve readability. 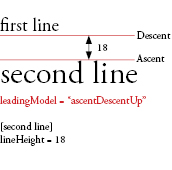 [read-only] Specifies the leading model, which is a combination of leading basis and leading direction. 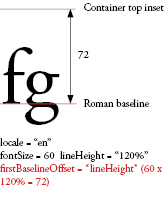 [read-only] Controls which of the ligatures that are defined in the font may be used in the text. [read-only] Controls word wrapping within the container (adopts default value if undefined during cascade). [read-only] Leading controls for the text. [read-only] If true, applies strikethrough, a line drawn through the middle of the text. [read-only] Defines the formatting attributes used for links in normal state. [read-only] Defines the formatting attributes used for links in hover state, when the mouse is within the bounds (rolling over) a link. [read-only] This specifies an auto indent for the start edge of lists when the padding value of the list on that side is auto. [read-only] Defines the formatting attributes list markers. [read-only] Legal values are ListStylePosition.INSIDE, ListStylePosition.OUTSIDE, FormatValue.INHERIT. Default value is undefined indicating not set. If undefined during the cascade this property will inherit its value from an ancestor. [read-only] Legal values are ListStyleType.UPPER_ALPHA, ListStyleType.LOWER_ALPHA, ListStyleType.UPPER_ROMAN, ListStyleType.LOWER_ROMAN, ListStyleType.NONE, ListStyleType.DISC, ListStyleType.CIRCLE, ListStyleType.SQUARE, ListStyleType.BOX, ListStyleType.CHECK, ListStyleType.DIAMOND, ListStyleType.HYPHEN, ListStyleType.ARABIC_INDIC, ListStyleType.BENGALI, ListStyleType.DECIMAL, ListStyleType.DECIMAL_LEADING_ZERO, ListStyleType.DEVANAGARI, ListStyleType.GUJARATI, ListStyleType.GURMUKHI, ListStyleType.KANNADA, ListStyleType.PERSIAN, ListStyleType.THAI, ListStyleType.URDU, ListStyleType.CJK_EARTHLY_BRANCH, ListStyleType.CJK_HEAVENLY_STEM, ListStyleType.HANGUL, ListStyleType.HANGUL_CONSTANT, ListStyleType.HIRAGANA, ListStyleType.HIRAGANA_IROHA, ListStyleType.KATAKANA, ListStyleType.KATAKANA_IROHA, ListStyleType.LOWER_ALPHA, ListStyleType.LOWER_GREEK, ListStyleType.LOWER_LATIN, ListStyleType.UPPER_ALPHA, ListStyleType.UPPER_GREEK, ListStyleType.UPPER_LATIN, FormatValue.INHERIT. Default value is undefined indicating not set. If undefined during the cascade this property will inherit its value from an ancestor. [read-only] The locale of the text. [read-only] Bottom inset in pixels. [read-only] Left inset in pixels. [read-only] Right inset in pixels. [read-only] Top inset in pixels. [read-only] A Number that specifies, in pixels, the amount to indent the paragraph's end edge. [read-only] A Number that specifies the amount of space, in pixels, to leave after the paragraph. [read-only] A Number that specifies the amount of space, in pixels, to leave before the paragraph. [read-only] A Number that specifies, in pixels, the amount to indent the paragraph's start edge. [read-only] The rendering mode used for this text. [read-only] Assigns an identifying class to the element, making it possible to set a style for the element by referencing the styleName. [read-only] Specifies the tab stops associated with the paragraph. [read-only] Alignment of lines in the paragraph relative to the container. [read-only] Alignment of the last (or only) line in the paragraph relative to the container in justified text. [read-only] Alpha (transparency) value for the text. [read-only] A Number that specifies, in pixels, the amount to indent the first line of the paragraph. [read-only] Specifies options for justifying text. [read-only] Determines the number of degrees to rotate this text. 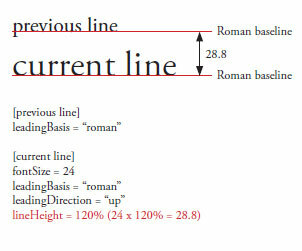 [read-only] Number in pixels (or percent of fontSize, like 120%) indicating the amount of tracking (manual kerning) to be applied to the left of each character. 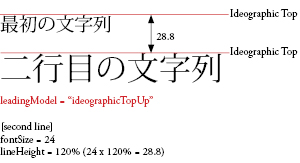 [read-only] Number in pixels (or percent of fontSize, like 120%) indicating the amount of tracking (manual kerning) to be applied to the right of each character. [read-only] The type of typographic case used for this text. [read-only] Vertical alignment or justification (adopts default value if undefined during cascade). [read-only] Collapses or preserves whitespace when importing text into a TextFlow. [read-only] Specifies the optimum, minimum, and maximum spacing (as a multiplier of the width of a normal space) between words to use during justification. Controls how text wraps around a float. A value of none will allow the text to wrap most closely around a float. 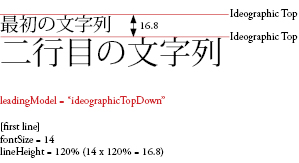 A value of left will cause the text to skip over any portion of the container that has a left float, and a value of right will cause the text to skip over any portion of the container that has a right float. A value of both will cause the text to skip over any floats.